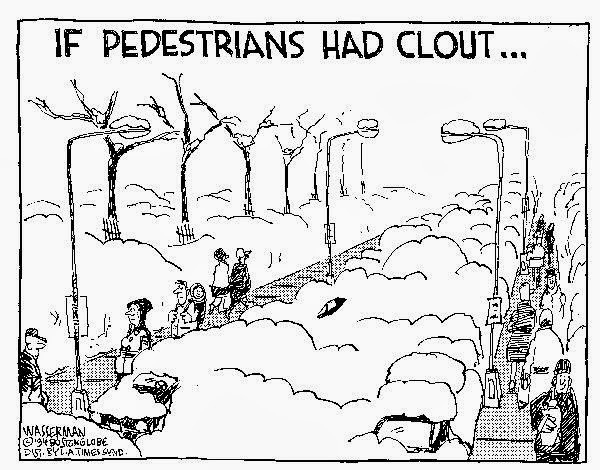 We're lucky here in Southern California not to have to deal with the issue of snow-plowing--or rather, lack of snow-plowing--on pedestrian walkways, but it's a big problem in other cities, where roads are typically cleared of snow and ice far before sidewalks. However, in some parts of the world cities are starting to re-think how they address plowing, as this recent story from the Atlantic Cities blog describes. In Sweden, a few cities are revamping their snow clearance policies to prioritize roads near schools and transit stops, as well as those with bike lanes. The idea is that it is these roads, rather than the major ones to city centers, that serve the more vulnerable populations (women, families) who have more challenges dealing with snow. Plowing them first thus becomes an issue of gender equality, not just mobility. Given that those with lower incomes are more likely to walk or use transit, perhaps we need to apply similar thinking here in the US?